Darla Muckenfuss is a “hometown” girl who has spent all her life calling York, Chester and Lancaster County her home. She is a mother of 3 daughters, Tiffany, Lexy, and Brooklyn. She was a Rock Hill Bearcat and so were both of her oldest girls in 2012. She is now a Cheer Mom at Lewisville High School, as Brooklyn is a Lewisville Lion. 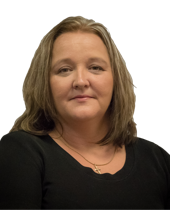 Darla studied Office Systems Technology with a Specialization in Paralegal Studies at York Technical College and has spent the last several years working on various legal cases as a Paralegal. Her Real Estate education and “be your own boss” attitude led her to join Studio 1 Realty as a Realtor because of her energetic passion for assisting clients in getting to the closing table. Darla brings various levels of Real Estate education, communication skills, and tons of personality to be the perfect Realtor for your family. She expresses a clear desire to take away the burden and take care of your deal above and beyond your typical real estate agent. Darla will hold your hand during the smooth sailing as well as have your back when the road gets rough. She will be your partner in the transaction and guarantees you to never feel alone. Please call, text, or email Darla for any and all Real Estate questions. She looks forward to meeting you to talk about the selling strategies, your loan options, and all of your buying powers. If you are investing or searching for a vacation home, she will hunt with you far and wide to find exactly what you are looking for!!! Thanks in advance for referrals, testimonials, and future business deals!! Finding the house is like looking at art, it’s not the look…it’s the emotion!!! Let’s find that feeling together!!! Listing courtesy of Studio 1 Realty Inc.